My 3 day weekend has just flown by, I cant even believe it is already Sunday evening. My Sunday Discoveries will be short this week, as I have alot of Relay for Life things to get wrapped up before next Friday. Brenden has always wanted to invest in the stock market. But for several reasons we have never done this: 1)we don't have a huge amount of extra money...so why throw it to the wind and put in the stock market (my opinion, not Brenden's) 2)Neither of us know much about investing and 3)who has time to sit around all day watching our stocks, doing trades, etc. Anyway, Brenden stumbled across this website in a magazine. It is both a stock trading website (with great prices for trades) and a blog type forum for discussing lots of things! Check it out here So have you invested in the stock market, or know the in's and out's of it? Any tips for starting out? I like to enjoy a glass of wine every once in awhile. The first wine I tried was from Wyldewood Cellars I think Sweet Elderberry was my first one I tried. I definitly prefer sweet wine, I dont even bother with dry wine (not even enjoyable to drink in my opinion). This winery also has an Elderberry Concetrate which is wonderful it you are beginning to feel sick! I used it all winter in my smoothies, and was not sick at all this winter (which is very unusual for me). Salina has a great little winery, Smoky Hill Vineyards & Winery that we have visited a couple of times since living here. Last year we went with a group of friends to the Blessing of the Grapes at the vineyard. It was a very interesting experience with amazing food. If you are ever in Salina to visit, we will have to go for a tour and dinner! Do any of you have a wine you prefer? I always love to try new wines! Well that is all for this Sunday. If you ever find an interesting website or blog, let me know. I would be happy to include it in the Sunday Discoveries! 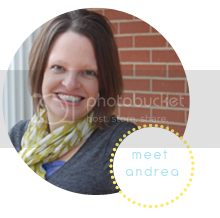 Andrea, I love to visit your blog site for many reasons - but one of the most enjoyable things is to listen to your music! I especially like the David Crowder Band songs. Thanks for making it a fun place to visit! I'm always up for a white zinfandel...will be looking forward to hosting a cookie dough/champagne party after the baby comes (and after I'm done breastfeeding)!! On Oprah today there Jerry Seinfeld's wife was on with her new book she wrote. It's about hiding vegetables in everything you eat and they even had children test it! I'm thinking about buying it because I'm not much of a vegetable and fruit eater and her food looked good! Her story is amazing and I thought of you and your Sunday finds. Here's the website! A cookie dough/champagne party....sounds like a VERY ODD combo to me. I will look forward to my invitation to this odd combo party!